Ideal Security's garage door replacement cable set includes a pair of safety cables and a pair of extension or lift cables. Also included are all the S-hooks, brackets, cable fittings and compression stops needed for a proper installation. The cables are aircraft grade, original equipment quality. Safety cables are 9 feet long, 1/8 inch. diameter. The extension cables are 12 foot 6 inches long 1/8 inch. diameter.The extension or lift cables are a component of the door opening and closing system. All cables should be changed at the first sign of any damage or fraying.When changing extension springs, always add or change the safety cables to help reduce the risk of injury or damage if a spring should break. Always disconnect the electric garage door opener if installed and lock the door in place with locking pliers or a ladder for safety, and use protective eyewear. 9 ft. Bottom Weatherseal for Garage Door Provides a tight seal between your steel garage door and concrete floor with the Clopay Garage Door replacement bottom weather seal kit. This easy to install kit helps keep out items such as water, dirt, insects and pests from entering your garage. 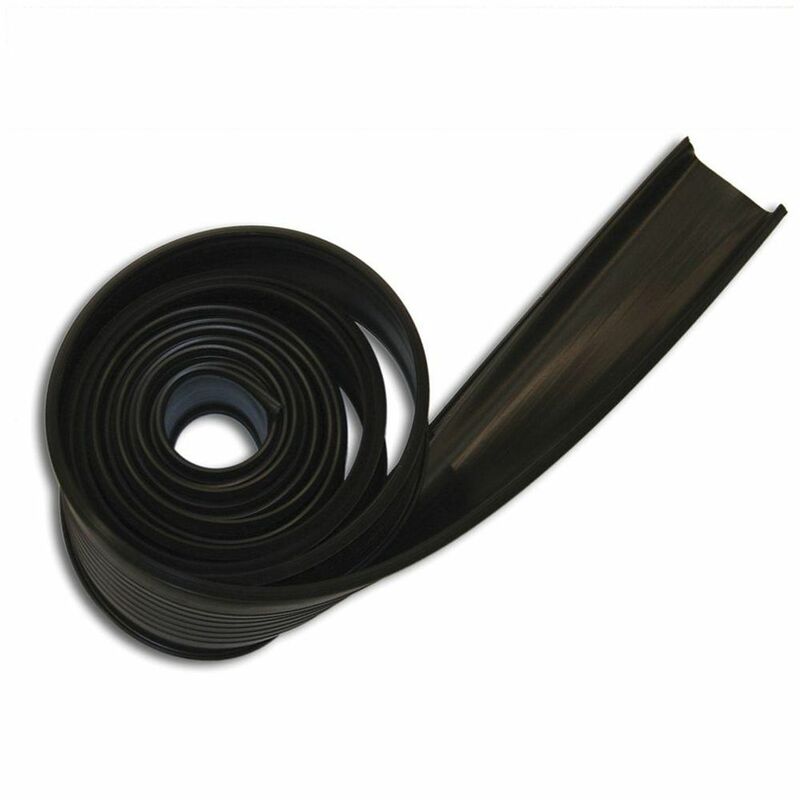 The flexible rubber even conforms to uneven floors to create that tight seal. 9 ft. Bottom Weatherseal for Garage Door is rated 4.5 out of 5 by 104. Rated 4 out of 5 by LOB from Product performed exactly what it was supposed to do, wish the rubber material was a little heavi... Product performed exactly what it was supposed to do, wish the rubber material was a little heavier but it still performed. I wish they would have enlarged the install pictures and take the Spanish translation off of the package. Rated 5 out of 5 by Dan from Worked as needed!!! Needed a seal and it sealed it!!... Worked as needed!!! Needed a seal and it sealed it!! Rated 2 out of 5 by HomeDepotCustomer from Hard to slide bottom into grooves, rubber inserts were not... Hard to slide bottom into grooves, rubber inserts were not properly set . Need to bend itsert to slide it, poor packaging since insert was squashed. Rated 5 out of 5 by steve from easy install, works as it should. easy install, works as it should. The T on the track on the bottom of my door is 1/4&quot;. &nbsp;I tried a kit from a different manufacturer and the T is 5/16&quot; and won't fit. &nbsp;What is the size of the T on this product? Warren, The T on this weather seal is 5/16&quot; as well. It's compatible with most Clopay steel doors. What temperature range it can withstand? Is it good for canadian weather? -40 to +40 ? All Clopay garage doors and accessories are suited for Canada's climate.